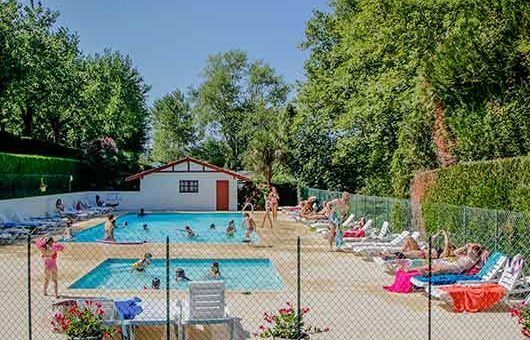 At Camping Suhiberry in the Pyrénées Atllantiques, at the heart of the Pays Basque, you can enjoy a simple, yet functional, pool area with water heated to a comfortable 28°C. 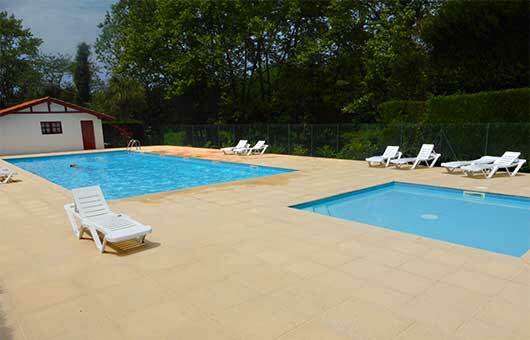 You can enjoy our outdoor heated pool, just two minutes from Urrugne beach, from long weekends in mid-May to September. Our large pool is perfect for swimming lengths. From a depth of 1m at the steps to 1.6m in the middle of the pool and 1.4m at the sides, the pool has a gentle slope making it as suitable for expert swimmers as it is for beginners who want to venture gradually into the water. It is very easy to get back into your depth on all sides of the pool. You can also relax in the sunshine and sunbathe on the sun loungers that are provided. Toddlers really enjoy the paddling pool where they can safely play while you keep an eye on them. Children will find a variety of pool toys in the treasure chest in the pool area. At the Suhiberry campsite in the Pays Basque your children’s imaginations will run wild! cool down and swim lengths of the large pool! sunbathe on one of the many deckchairs dotted around the pool. watch your children enjoying themselves in the paddling pool – an area that everyone enjoys! to take part in campsite life and enjoy a variety of water-based activities including swimming, sunbathing and relaxation, swimming lessons, water obstacle course, aquafit sessions, aquayoga and waterpolo tournaments in the summer season. 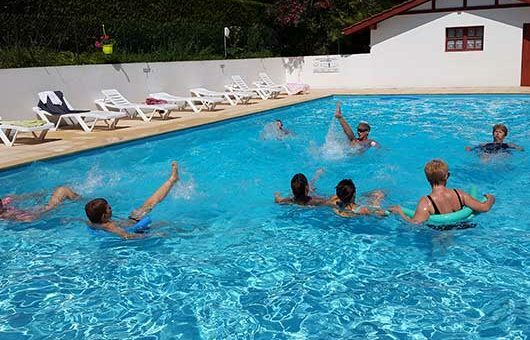 The pool at the Suhiberry campsite at the heart of the Pays Basque is heated to an average of 28°C in both low and high season, promising a great time whether your are with family or friends. The heated pool is open from 10am – 8pm in July and August and from 10am – 6pm at all other times. 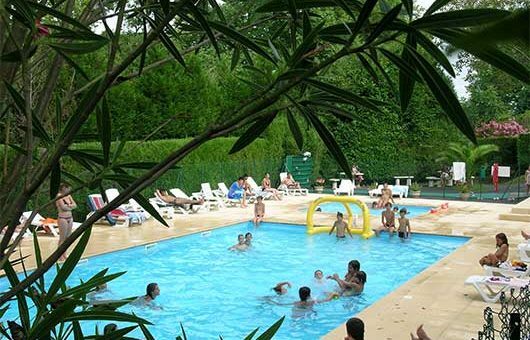 You can enjoy these pools throughout your holiday in the Pays Basque. Our maintenance team meticulously tests the water daily. Rigorous unannounced tests are undertaken throughout the summer by licensed laboratories in order to guarantee water quality. All clothing, shoes and bags must be left in the lockers provided before you enter the pool area. No wristband required – Suhiberry is family-friendly so we will recognise you. Your children are your responsibility and under your supervision – be vigilant. Sed justo ut ipsum consequat. luctus efficitur. elit.